A good compressor in your workshop or garage can be a real saver of time and effort, and better still they don't have to cost the earth. Here are a selection of the best for home garage and workshop use. The big appeal with this Sealey 2hp unit is that you can get to work straightaway - instead of having to shell out on accessories and add-ons it comes with a spray gun, air gun and hose and a tyre inflator, so you have most of the kit you need ready to go. Even so it remains good value, with a 50-litre tank and 4.6 CFM airflow meaning it is more suitable for home workshop and part-time applications. 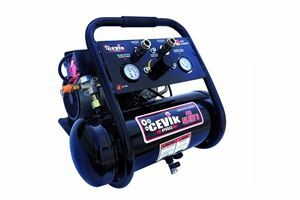 This compressor unit from Cevik is designed for remote and portable use, so what it gives away in terms of power and volume it makes up for with flexibilty. 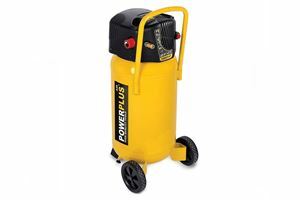 You can power up the tank whilst hooked up to the mains then take your compressed air elsewhere, ideal for inflating tyres in remote locations. It weighs a modest 17kg and has a 1hp motor, six-litre tank and an output rating of 3.9 CFM, making it suitable for occasional use only. 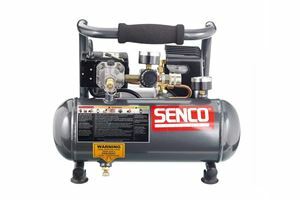 This Senco offering is another compressor that focusses on portability, with a weight of only 9kg making it much easier to transport than alternative offerings. Aimed at the hobby market, the Senco is a low-output unit with a 0.5hp motor, 3.8-litre tank and 1.2 CFM rating. It is not as cheap as similarly-specified compressors, but its portability will be a big help for some buyers. 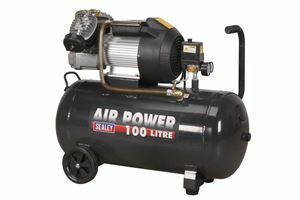 A mid-specification compressor from Sealey, this 3hp unit is suitable for tackling bigger jobs with ease. 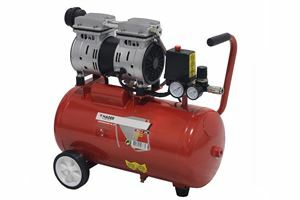 The compressor itself is driven directly by the motor for reliability, and with the flexabiltiy of a 100-litre tank the motor need not be running all the time. A strong output of 8.8 CFM means the Sealy 3hp is strong enough to handle light spray jobs, but it is worth bearing in mind that with a weight of 53kg it is not especially portable. 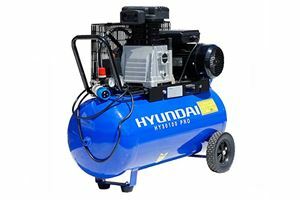 For anyone seeking a top-line compressor that can handle big jobs, this offering from Hyundai has the right specification. With a 100-litre tank, 3hp motor and a mighty 12.5 CFM rating it can deliver the necessary flow for bigger spray jobs. It also comes with twin outlets to save you having to repeatedly switch accessories during a big job as well as a set of wheels to make moving it around easier. There's even a three-year warranty thrown in too. If you're a first-time buyer of a compressor then this particular offering from ParkerBrand is a sensible choice, especially with a modest price tag of around £100. Its 24-litre tank is suitable for light jobs requiring air tools but it has a strong 2.5hp motor that will keep the tank topped up. With an CFM rating of 9.6 it doesn't have the flow to power a spray gun, but it is well-suited to a home workshop. One of the biggest issues with compressors is the noise they make, which is why this Mader 0.7hp item is an ideal solution. Operating at a claimed level of 69dB - quieter than a ringing telephone - which is considerably less than many alternatives and makes it ideal for home hobbies. The specification suits lighter duty applications too, with a 24-litre tank and modest 3.6 CFM rating. Havig a compressor in your garage can make work so much easier, but they can take up a lot of space thanks to the sheer size of the air tank. Powerplus have a solution to this problem with its range of vertical compressors like this X1750 model. It doesn't demand any compromises on performance because of its size either, with a 50-litre tank, 2hp motor and a useful 7.8 CFM rating. 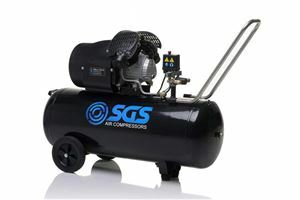 If you plan to use your compressor for spray work as well as the more mundane air tool work then you need a compressor with power and a good flow rate, which is exactly what you get with this SGS model. 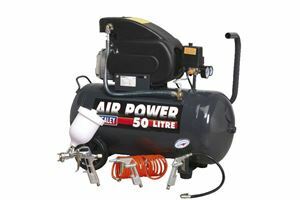 The 100-litre tank means the compressor does not having to be running constantly and the high 14.6 CFM flow rate is sufficient for proper spray work. 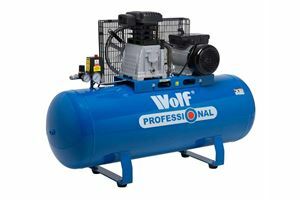 Whether you need or just want a high-specification compressor, this Wolf model is ready to take on just about any air-based task you can give it. The 3hp motor is common at this price bracket but the 150-litre tank is one of the largest available. 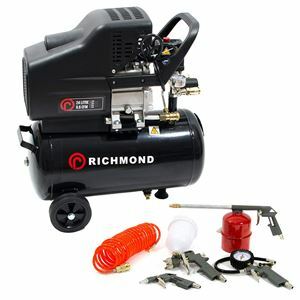 Add in the high 14 CFM flow rate and you have a compressor that can manage serious spray work and heavy-duty air tools. It also has a pair of outlets so you can set it up in your workshop and handle complicated jobs, and with a 50kg kerbweight it most likely needs to be kept in one place. It also comes with a two-year warranty as standard.